One of the coolest types of parties a teen can have is a bonfire. 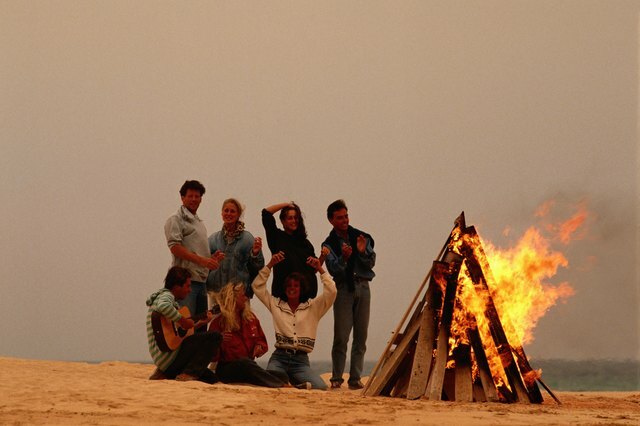 Popular teen shows often include the teen characters gathering around a bonfire and some high schools even host senior bonfires. 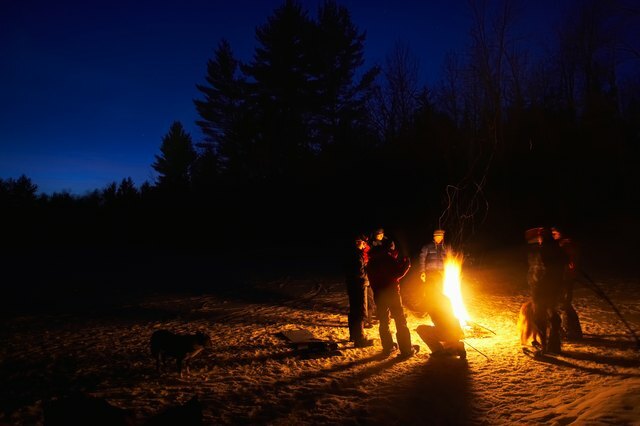 Although an adult should always be around to make sure the fire doesn't get out of hand, a bonfire is an ideal opportunity to bond with your closest friends or class. 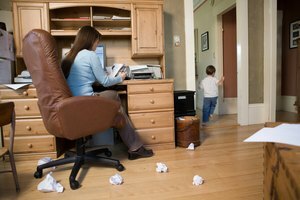 Whatever the occasion for the bonfire, include plenty of activities to keep everyone entertained and happy. If the bonfire is to celebrate graduation or the end of the school year, take the time to sit around the fire and talk about the crazy, funny and wild stories of things that happened in the past year or during high school. It will be fun to look back on moments that may have seemed so serious and be able to laugh at the situation. If the bonfire consists of mainly your closest friends and you are all graduating, take turns talking about how much everyone means to you or exchange small parting gifts with each other. Use the light of the fire to play beach volleyball, making sure the net is far away from the flames. Set up an impromptu game of flag football or relay races. If the bonfire is co-ed, have a powder puff flag football game, where the girls play football and the guys cheer on the sidelines. You can also play interactive social games like "questions" where you must answer a question with a question to stay in the game, or divide up the group into two teams and play charades. 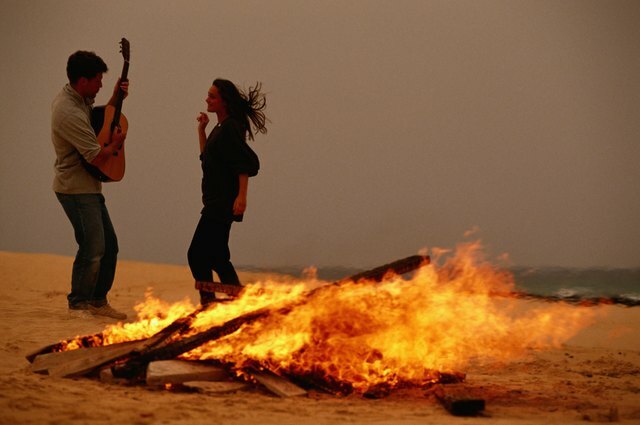 Bring a radio and speakers to the bonfire so everyone can dance to their favorite songs. Bring CD's of the most popular current artists and have a wide range of music if you are inviting a diverse group of friends. Ask the other teens to bring their CD's or mp3 players as well. Have a dance contest to make it more interesting. Lead the group in a raucous rendition of the high school anthem, or the chosen class song. 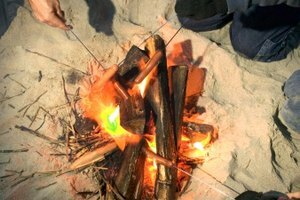 Serve simple campfire food and snacks during the bonfire party. Bring hot dogs to roast in the fire, as well as marshmallows, chocolate bars and graham crackers to make s'mores. Other food ideas include popcorn packaged in foil that you can pop over the fire, corn on the cob also roasted in the fire and trail mix. Another nice touch is a bucket of candy, a treat that all the teens are sure to love.